Ajwain is one of the common herbs used in Indian cuisine. 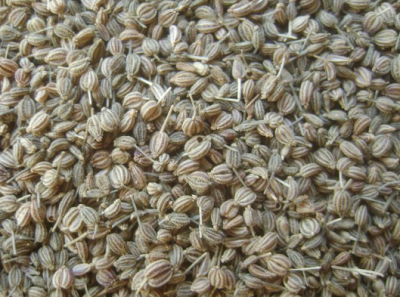 Ajwain (Carom Seeds) is commonly used in making curd recipes. It is mainly used to increase the flavour of the dishes. Ajwain is mostly added in preparations like bread, bean, lentil, snacks, biscuits, soups, sauce, etc. Most people add Ajwain at the final stage of cooking so that its aroma remains intact. Ajwain is loaded with Thymol which is an essential oil which gives it the amazing flavor and pungent aroma. Roasted ajwain gives an aromatic base to the recipes when added in cuisines. 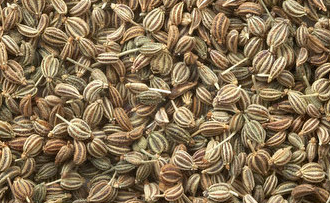 Ajwain (Carom Seeds) for ages is known for its intense flavour and fragrance as well as medicinal benefits. 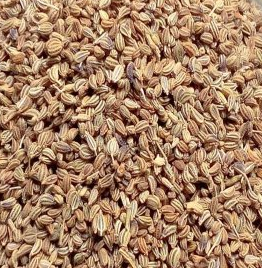 In India ajwain is used widely as a spice in indian cuisines. Ajwain has a very distinct intense flavor, even a little when added to any cuisine is sufficient to give a pungent smell to the dish. Ajwain is loaded with Thymol which is an essential oil which gives it the amazing flavor and pungent aroma. For ages Ajwain is used to aid in good digestion. It’s used in many recipes to give Tadka as it has a strong flavor and aroma. Ajwain has various uses and benefits in cooking as well as in home remedies, hence it is a part of every Indian’s kitchen. Ajwain (Carom Seeds) tea is known for its distinct intense pungent smell. For ages Ajwain tea is used as an home remedy for treatment of cold. Ajwain Tea can be consumed in all the seasons to increase immunity from flu, it is needed the most during rainy and winter seasons when there is flu outbreak. 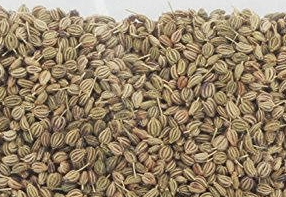 Ajwain seeds is loaded in both macronutrients and micronutrients as well as minerals. It is also used as home remedy for digestion problems, gaseous problems, antiseptic, antipyretic and expectorant. Let us see How to make Ajwain tea. For making ajwain (Carom Seeds) tea take One and half cup of water, in it mix a teaspoon of black or green tea and bring it to a Boil, Now add some ajwain to this tea. You can also choose to add some Elaichi/Ginger to enhance the taste of the tea as well as make it more healthy. You may also add some Milk along with honey if needed.